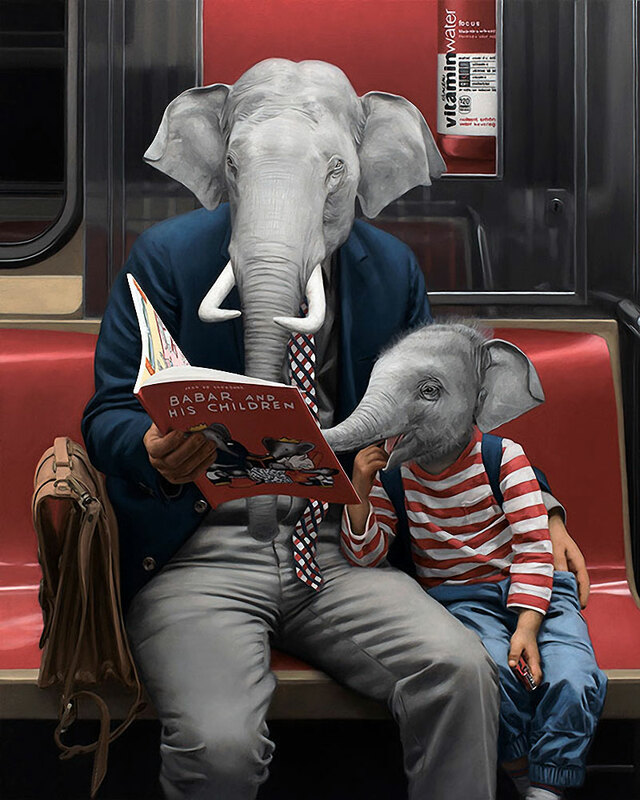 New paintings of unlikely juxtapositions by Los Angeles-based artist Matthew Grabelsky. 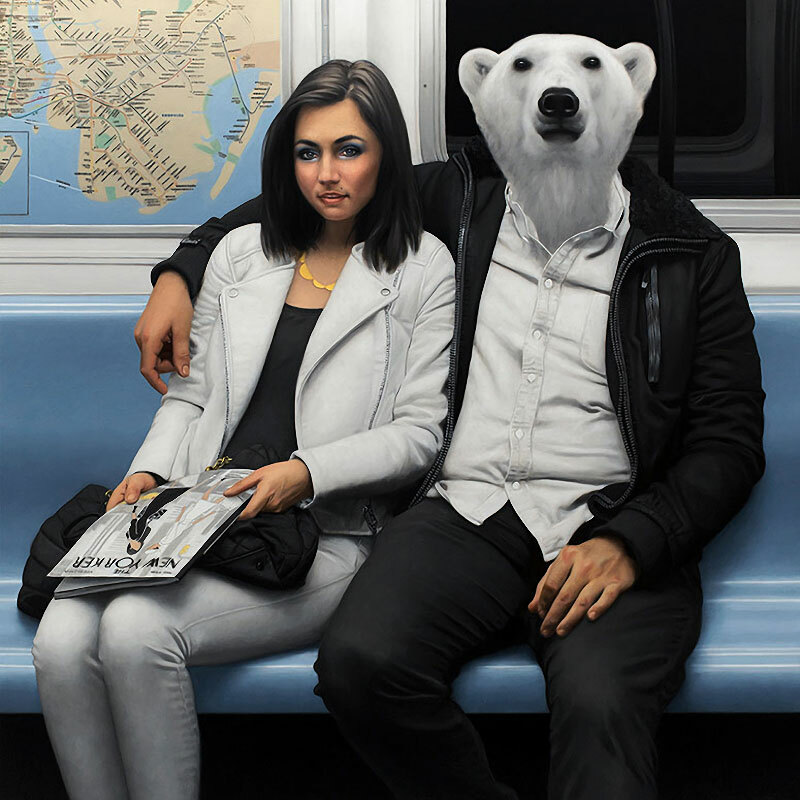 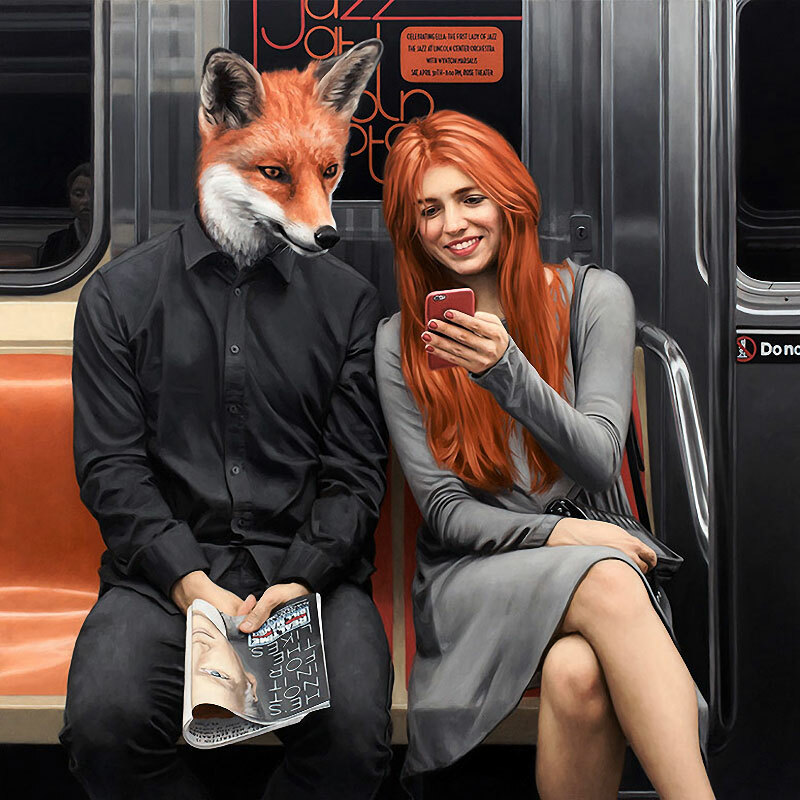 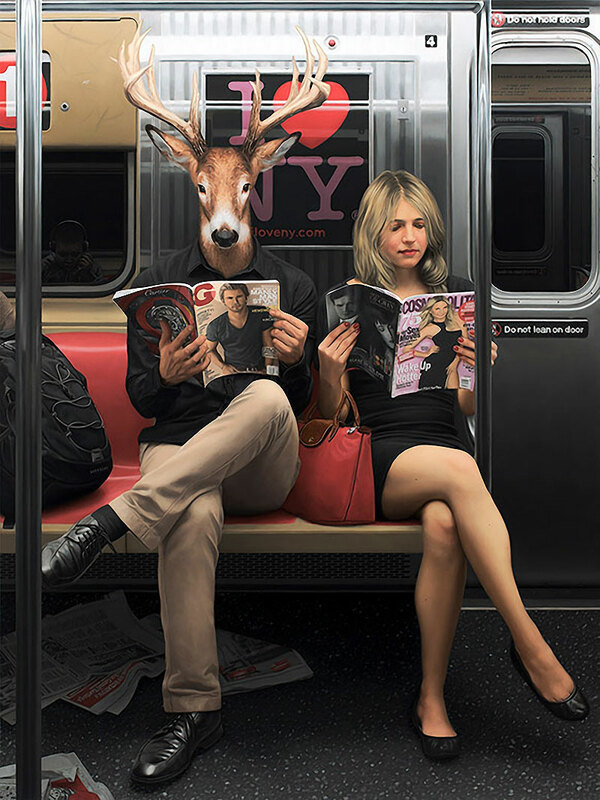 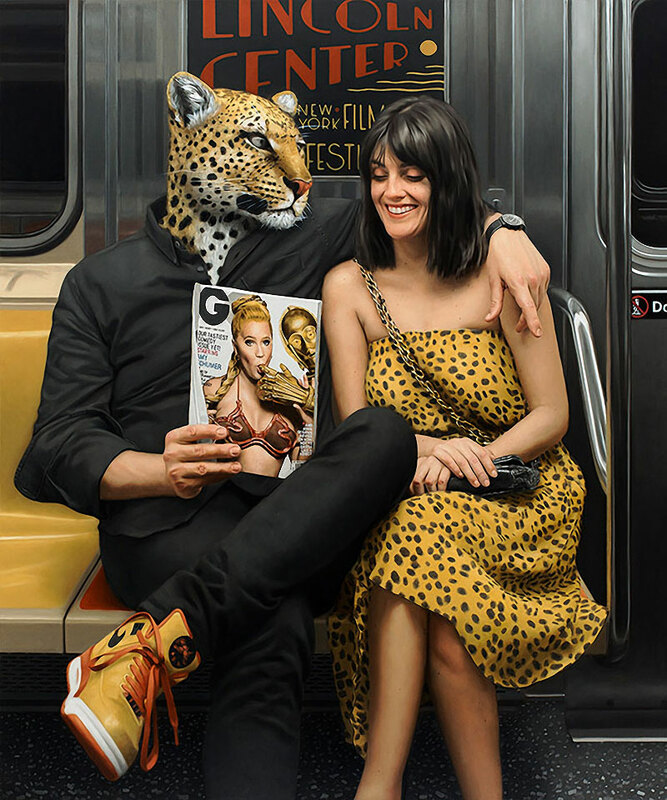 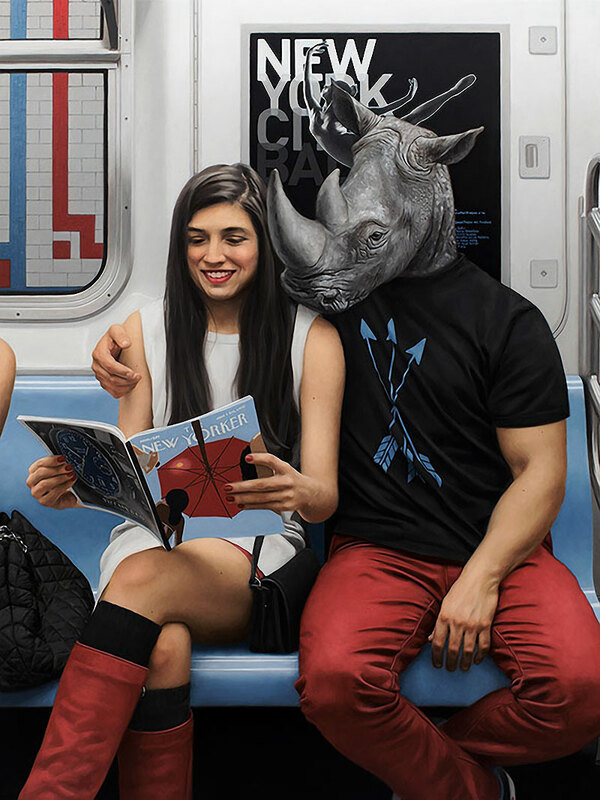 The paintings depict couples or families on subways nonchalantly reading magazines, newspapers or books with the male figures having animal heads such as bears, tigers, elephants, deers, etc. 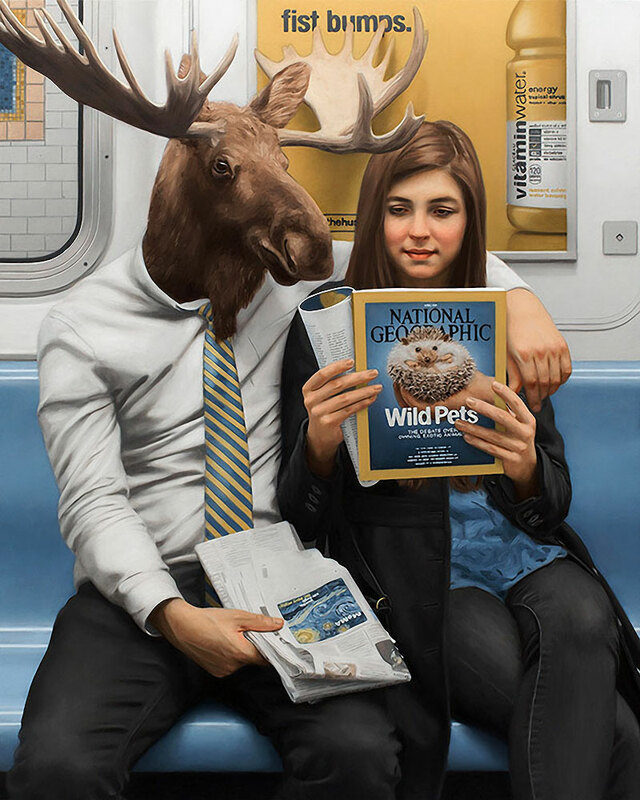 Fascinated by the persistence of animal imagery in mythology, Grabelsky superimposes its presence onto his depictions of the contemporary world as a manifestation of the inner workings of the hidden subconscious, literally revealing the identities and motivations lurking beyond the composure of the human mask. 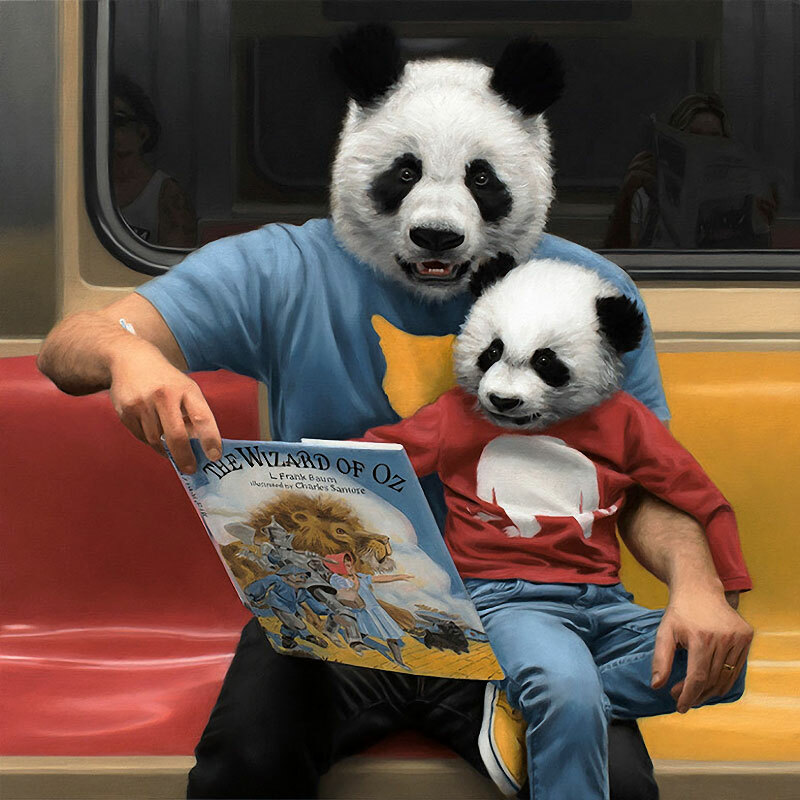 On view at Thinkspace Gallery through May 21. 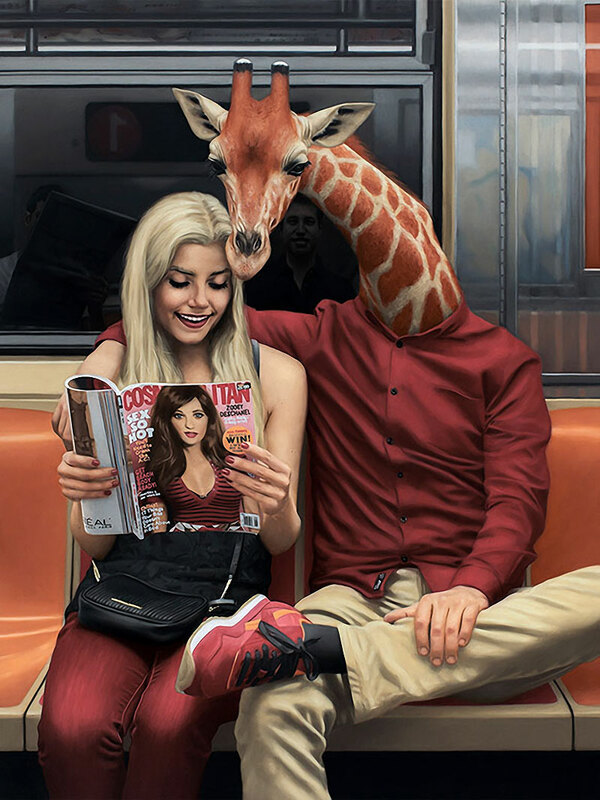 New paintings of unlikely juxtapositions by Los Angeles-based artist Matthew Grabelsky.